A lot of life in the tropics comes out after the sun goes away, so we took in several evening strolls to look for a variety of wildlife. 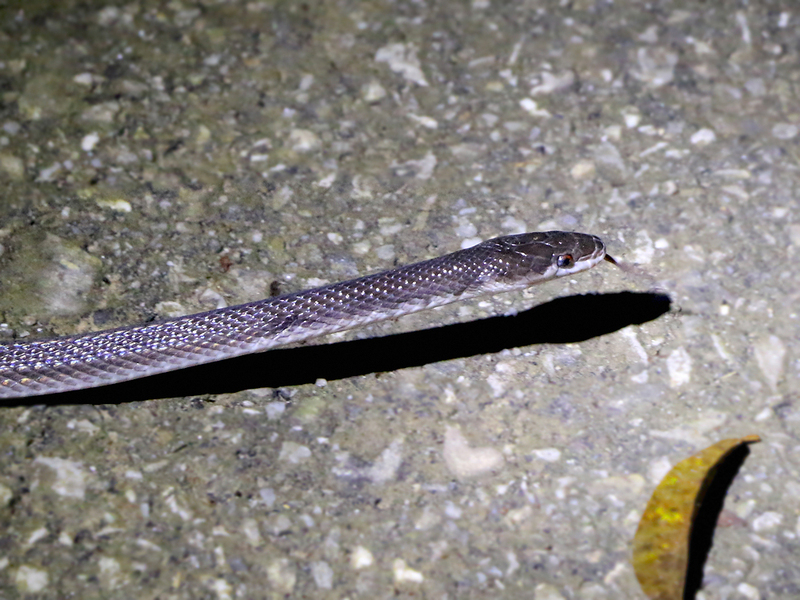 This Ratonel (aka Moon Snake; Pseudoboa neuwiedii) was a special treat during one of our night walks along the driveway at Asa Wight Nature Centre. Snakes are not always easy to find, so we were fortunate to spot this one before it disappeared into the underbrush.